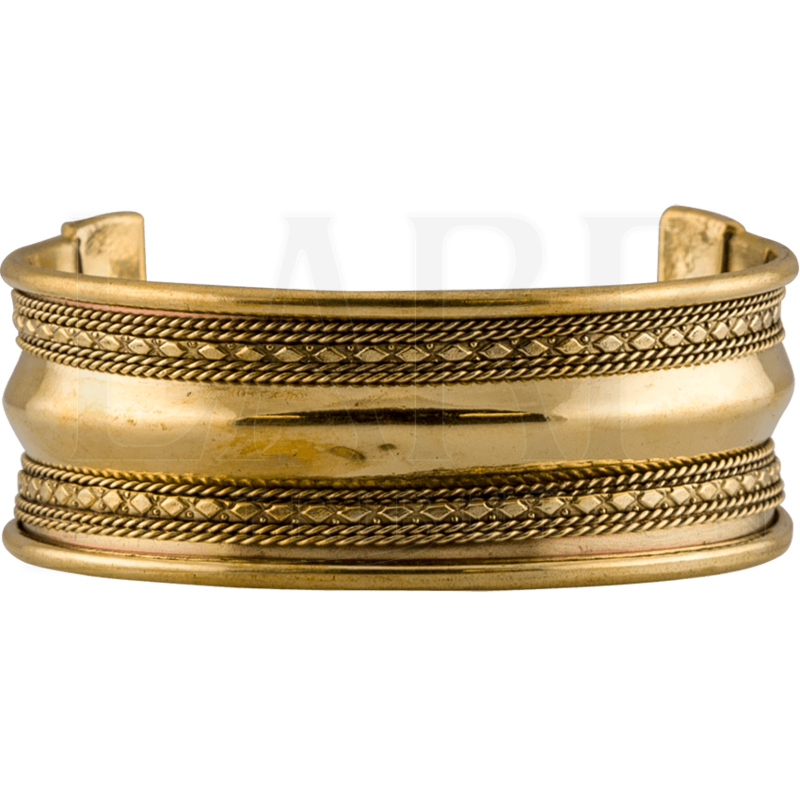 The Brass Viking Cuff Bracelet in Medium is a statement-making accessory, whether you are dressing as an ancient Norse noble or adding a historical touch to even everyday outfits. Twisted lines accent this Viking brass cuff, wrapping around its open ring shape. 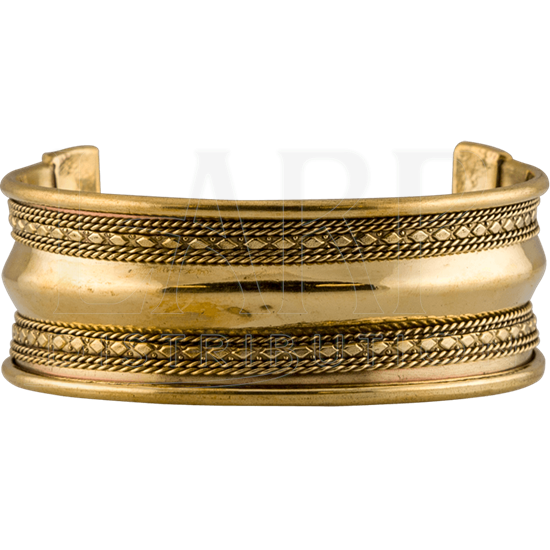 The brass medieval bracelet has a wide width, and it can be gently adjusted for best fit. Bring history into your modern life with this versatile Viking jewelry piece, or give your historical look some splendor when you add this Viking jewelry to reenactment, LARP, and Renaissance faire outfits.